Originally the library reading room in H.H. 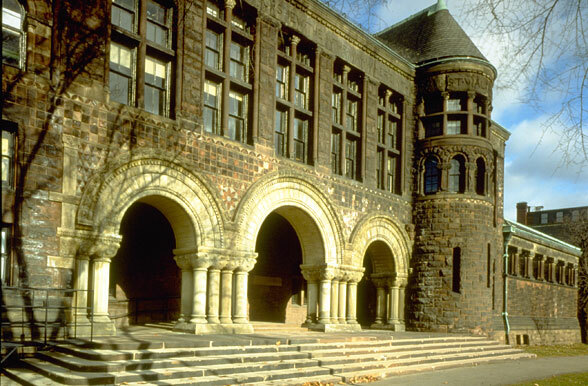 Richardson’s 1883 Austin Hall, the 6,000 SF Ames Courtroom was created in a previous renovation in 1954. 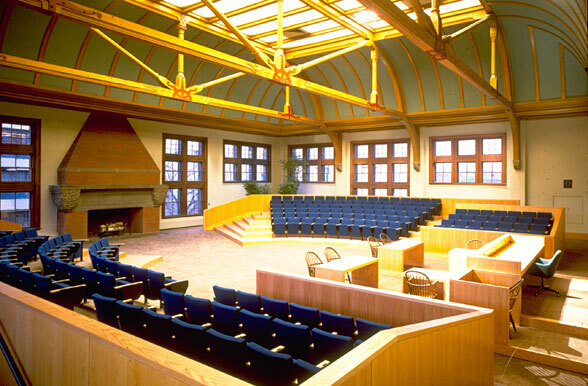 This renovation returned the room to the original proportions of Richardson’s design, and added two gently stepped risers to provide fixed seating for 220. 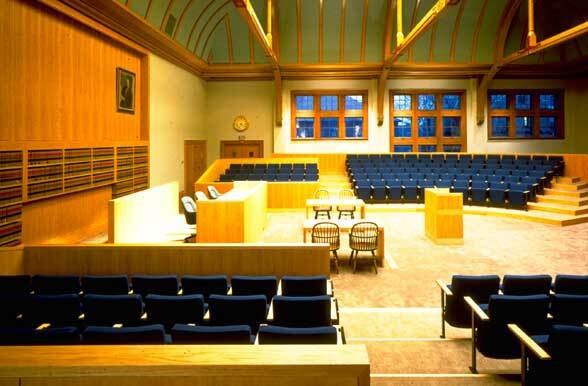 Furniture elements on rollers allowed for two courtroom configurations; a trial court and an appellate court. 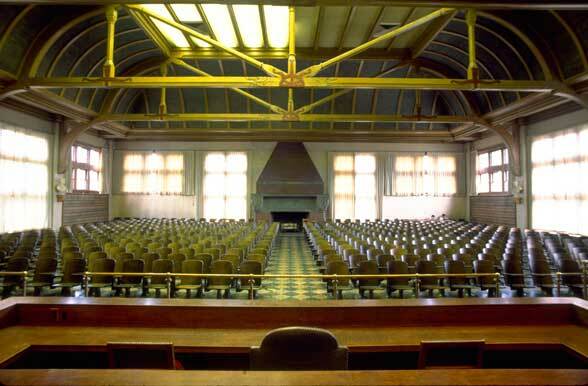 For lectures the room accommodated an additional 130 movable seats. The exquisite fireplace, which is listed separately on the National Register of Historic Places and was largely ignored in the previous configuration, has been visually reincorporated into the room.